A few years ago, I was introduced to a highly motivating, fast-paced academic version of the games Spoons. After playing a few rounds and having a lot of fun, I knew this was something I wanted to incorporate as much as possible into my classroom. My own students request to continue playing it a recess, and they literally cheer when I put Spoons games in their math centers for the week. 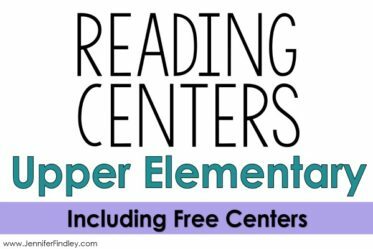 (Read more about math centers in my classroom here.) 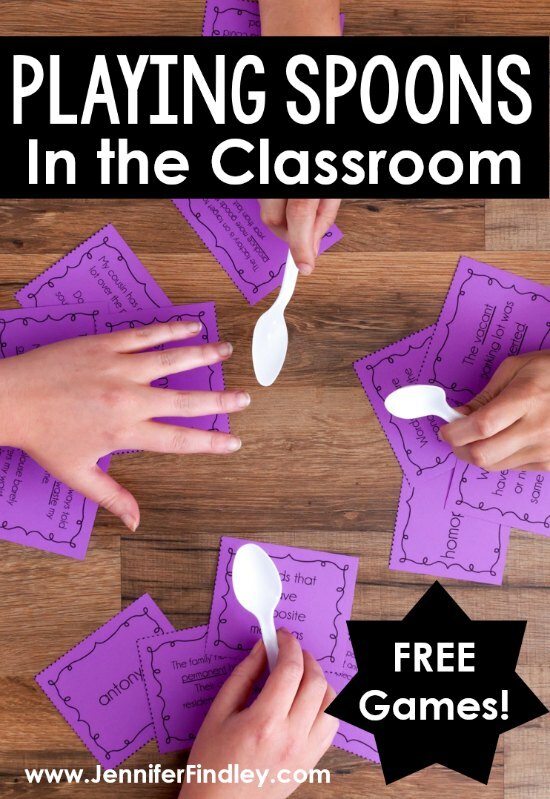 Read on to learn how you can play spoons in the classroom with your students and grab free games! 16 cards (four of the same cards that “match”). I know some people use more cards when they play Spoons so they have a dealer stack or a discard stack. My version has neither. This keeps the game from lasting too long. Usually in one center rotation my students can easily play two or three rounds of Spoons (the same game or a different game to review multiple skills). The 4 players sit in a circle with the 3 spoons in the middle. One of the players distributes 4 cards to each player, including him or herself. When a player has 4 cards that are a match, he/she, as quietly as possible, takes a spoon from the center. As the other players notice this, they (as quietly as possible) take a spoon until there is one player without a spoon. The player without a spoon must say, “Prove it!” to the player that has the match. Next, the player with the match has to prove that his/her cards are matches. If the original player is able to prove it, the player without the spoon has to add an S to his/her scoreboard. If the original player cannot prove that his/her cards match, that player gets an S.
Take up all cards, shuffle, and play again. If a player spells the word SPOONS, they lose. Another difference is there are only 16 cards, enough for each player to have four cards. The other difference is that the matches are not perfect matches in the sense that each card shows exactly the same word, number, or phrase. Here is example of a four card “match” from my Main Idea Spoons game. As you can see they are not matches in the sense that every card says the same word or phrase. Instead they are matched because the three supporting details support the main idea. This takes the rigor up a notch and really makes the students think when they are deciding which cards to keep or switch. It also ups the rigor when it comes time for them to prove their matches. These are pretty simple to make your own once you choose a skill or concept that can be reviewed with four matches. To be honest, choosing a skill that works for this type of game is the difficult part. Not all skills will have four “easy to come up with” matches and sometimes you have to be creative. 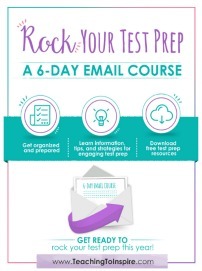 Once you have chosen your skill, you will need 16 index cards or pieces of card stock. Write your four sets of four matches on the cards. Create a quick answer key and you are done. Here is an example of what a hand-created match for a Parts of Speech Spoons game could look like. For this game, the students could be matching basic parts of speech (nouns, verbs, adjectives, and adverbs). 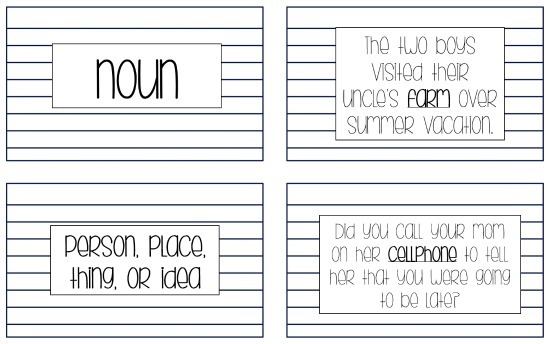 The cards shown would be a complete match for noun: the card labeled noun, the card defining nouns, and two sentences with nouns underlined. Don’t want to make your own Spoons games? 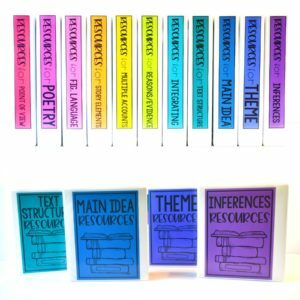 Keep reading until the end of this post because I have two free Spoons games for you to try with your students and links to where you can purchase some more, if you want! If you have five players, have two of the players partner up. This would be a great way to scaffold a struggling student by partnering them with another student. If you have only 3 players, have them place one of the cards in the middle for all the players “to have”. Have this card be placed face up and teach the students that any of them can use that card for one of their matches. Then, they will each be given 5 cards instead of 4. However, they will still have to find four of the same concept or number. When I first introduce the game, I teach it in small groups of students. This way I can model explicitly how I want them to play, how I want them to grab the spoons, etc. When I have lower groups of students, I use cards with numbers on them to easily teach the concept of the game. You will need to explicitly teach your students behavior expectations for this game. The students get very excited playing Spoons, so you have to set the expectations from the get-go. Usually, my kids love “playing” the game so much that they will self-monitor their own behavior. However, I have had to take the “game” aspect away from a few groups over the years. When the students lose the game for the week, they have to use the game pieces as a matching or sort, and they have to record their answers to turn in. If you have to do this, you will only have to do it once because the students would much rather play the game. 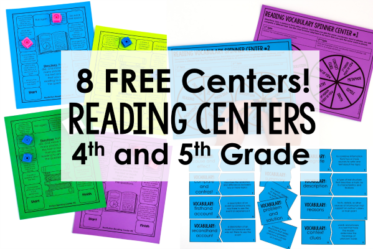 When I put Spoons games in centers, I always put at least two games for the students to play while they are at that center. My students can only play around 3-4 rounds of one game before they have to choose another game to play (carrying their letters over to the next game). 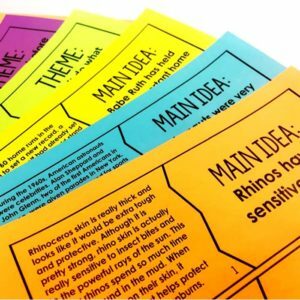 Print your games on different colored card stock or colored paper to help the students keep them organized, especially if you place more than one game at a center. 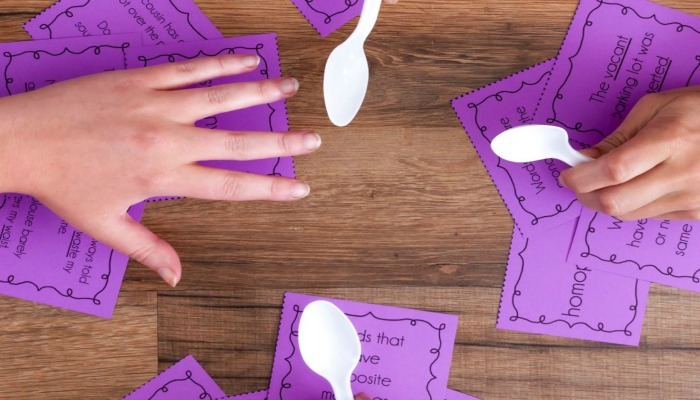 Want to try out the academic version of Spoons with your students? 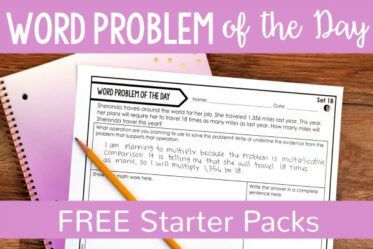 Click HERE to download a Words Relationship game (synonyms, antonyms, homophones, and homographs) and click HERE to grab an exclusive blogger freebie game for reviewing quadrilaterals. The simplicity of the quadrilateral Spoons game makes it perfect for introducing the game and getting your students used to how to play the game and the behavior expectations. Want even more Spoons Games? Click HERE to see the games I have in my store or click HERE to see the heavily discounted bundle of all my current sets (and any future sets). What do you think about playing Spoons in the classroom? Is this something you have done or could see yourself doing in the future? Let me know in the comments! I love playing spoons and your idea is fantastic! I can’t wait to try it out in my classroom. I love this idea so much! Last night we used this idea to review for my daughter’s benchmark. Thanks! Spoons is a fifth grade favorite. I like to way you have four different cards that match. Keeps the kids thinking. Do you have a parts of speech spoons game? That’s the one I really want! Do you have any sets for lower primary – first grade? I have been using spoon games in my math classroom for at least 3 years. The kiddos love it! I have never heard of spoons before, but I am going to see if my colleagues have before. I’d like to play a round or two with them, and then introduce it to our students. I will certainly take your advice on how to introduce the game to the students in small groups! Thank you for the ideas and the tips! This just made my day! A few years ago, I went to NC for my cousins graduation and we all sat around the table and they taught us northerners how to play spoons. We must have played for hours, it was so fun. And of course, we came back home and carried on the game with our friends and remainder of the family here in NY. 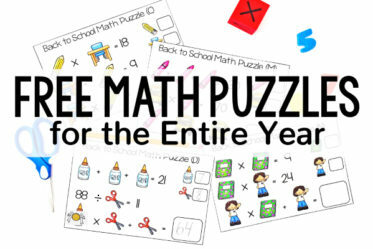 So upon seeing this blog and utilizing such a fun game into the classroom, I was excited. I would never have thought of this! I currently teach science to grades K-6 (and 4th gr math), and this would be a fun review game for those classes! 🙂 Thank you so much for sharing! You are so welcome! 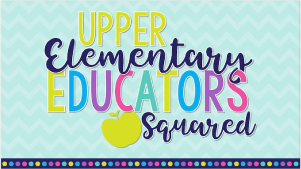 I hope your students enjoy it! It really is such a fun game. I have made this game (but a science version) for my students. We play it all the time and everyone loves it! I really like it when one of my groups need an “extra player” because MAYBE I fill in. 😉 I’ve only every played it in the classroom using four to six cards per person. I’m wanting to make a version where I can create a whole deck of cards…but can’t figure out how I want to do it. Your directions here are great. I loved reading how you played it in your classroom. 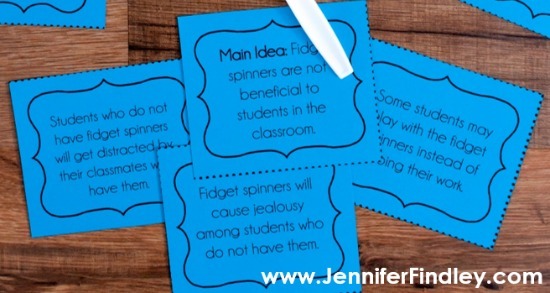 This is a great idea and I cannot wait to try it with my students! Do you do anything with science concepts? I love some of your ideas but I only teach science. My kids LOVE playing this game and I loved getting to teach them a game that I played as a child. Quick question: how do you store all of your sets? didnt know if you had found some good containers to store them in or if you were just using ziploc baggies. ? When I get some free time, I will be adding labels to the bundle of games. So glad your students loved playing it! My students love them, too! Dollar tree has great containers that I like to use for cards and also for other math manipulatives. Depending on the size container, most come in packs of three or so. Thank you SO much for explaining this game! I have never used the Spoons game and had real trouble finding out how the game is played! Thank you!! I appreciate your idea! such a great and fun game for kids. Thanks for sharing. 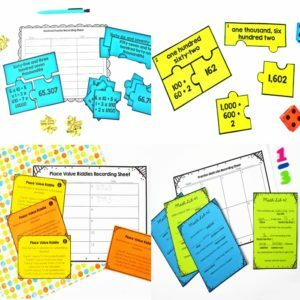 Great idea for a game, which I love to use with tutoring students. Do you think it could be modified to play with just two – myself and my student? Thanks for this great game! I love this idea! 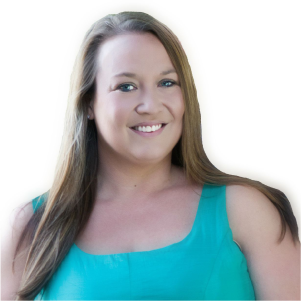 i am so sick of how I teach vocabulary, so I am such my kids are too! 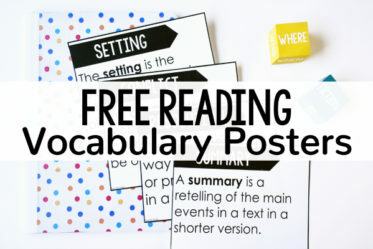 I am creating vocabulary cards tonight!! Thank you! I just ran of f your freebie for spoons using quadrilaterals. Do you have any other spoon games for 2nd in math?